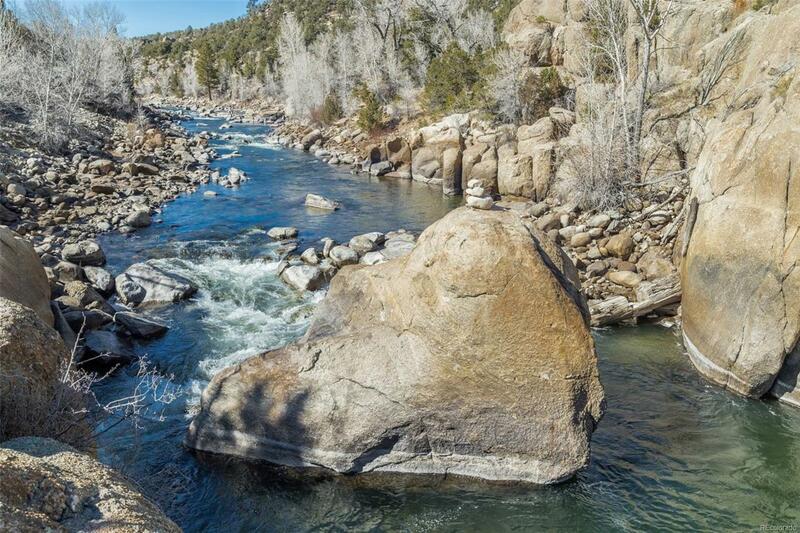 One of a kind Arkansas River frontage land with a tipi just outside of town. 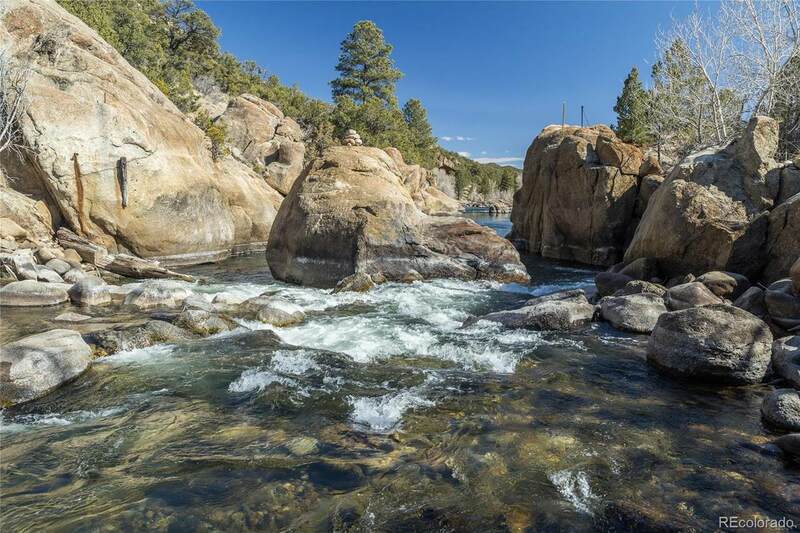 160 feet of Arkansas River frontage includes House Rock Rapid, large rock outcroppings overlooking the river, and the upper part of a large eddy. This is an excellent fishing spot (designated Gold Medal Waters) and great place to enjoy both peace and quiet and watch rafters and kayakers navigate one of the more technical rapids on the Fractions Section of the Arkansas River.The tipi is a 22 foot diameter Sioux style tipi with wall to wall carpeting on top of a thick, soft, smooth, sand base. It is made by The Nomadic Tipi makers, known for supplying the tipis for the movie 'Dancing With Wolves'. The inside tipi liner is tucked under the carpet to insulate and create a natural vent system. When having an open fire in the fire ring, this ventilation system carries the smoke up and out the smoke flaps. 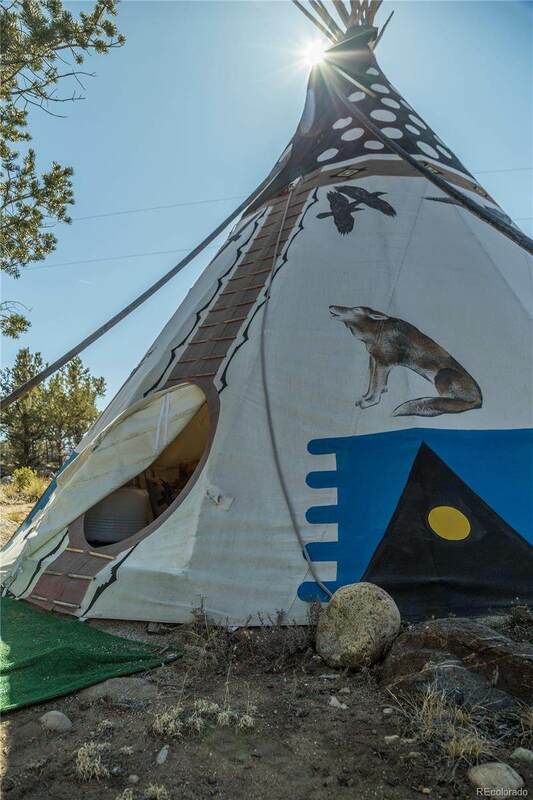 This tipi is well insulated and a super cozy place to gather with your tribe.